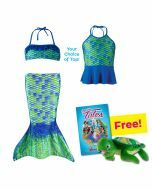 Your little princess will love feeling like a mermaid in this ocean-inspired toddler mermaid tail! Featuring a vibrant mix of greens and blues in a realistic scale-print design, Zoey’s Aussie Green is perfect for exploring the beach or splashing around in the pool. Colors of the sea collide in a stunning display of blues and greens in this oceanic toddler tail. Little sister will love the realistic look of this fish-scale design, featuring marbled swirls of color within. 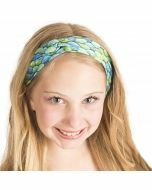 She’ll feel just like a mermaid princess wearing her very own mermaid tail from Fin Fun. In fact, our special line of toddler mermaid tails ensure little sister never misses out on the fun. She can even match big sister’s swimmable mermaid tail in Zoey’s Aussie Green. Toddler tails have a full open bottom, like a long skirt, to allow free leg movement. They do not use monofins like swimmable mermaid tails. 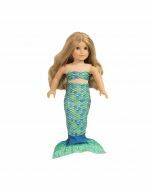 Imagine how perfectly pleased your daughter will be when she sees her new mermaid tail from Fin Fun! 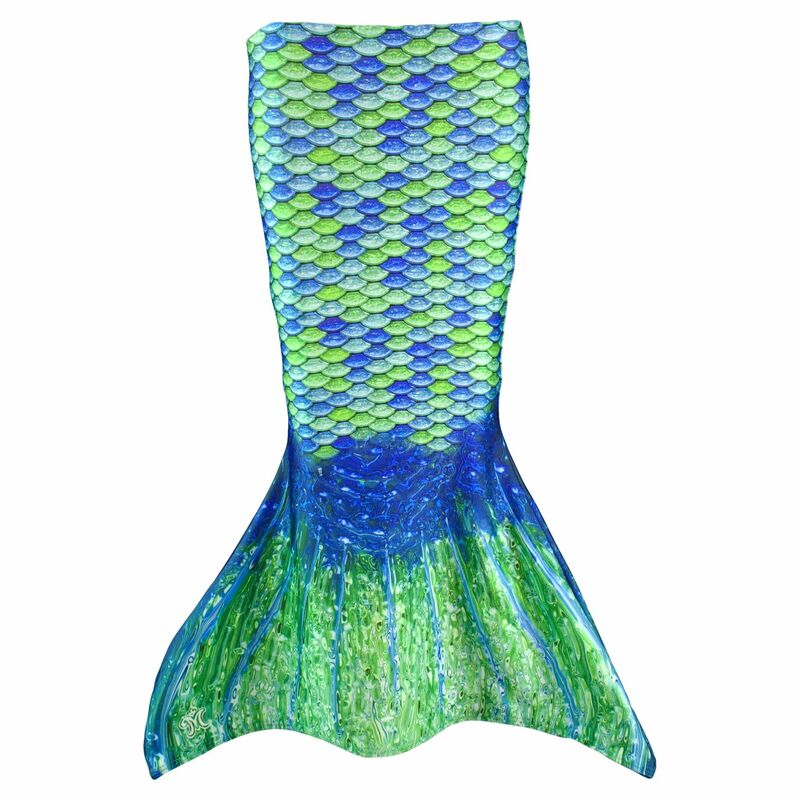 Choose the perfect toddler mermaid tail, available in several designs and colors! From our Limited Edition tails to our Mermaidens collection, there’s a variety of looks for every personality. Your little sweetheart will adore the way her tail glistens and shines in the sunlight. Once she enters the water, her imagination will soar! 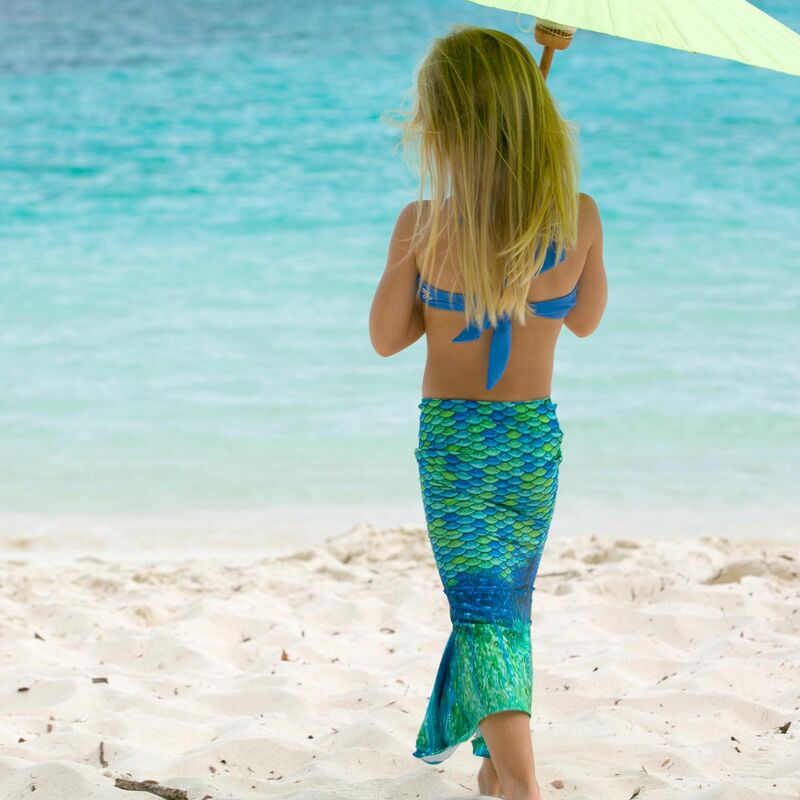 Our tails create an enchanting look that truly adds to the magical feeling of being a mermaid. 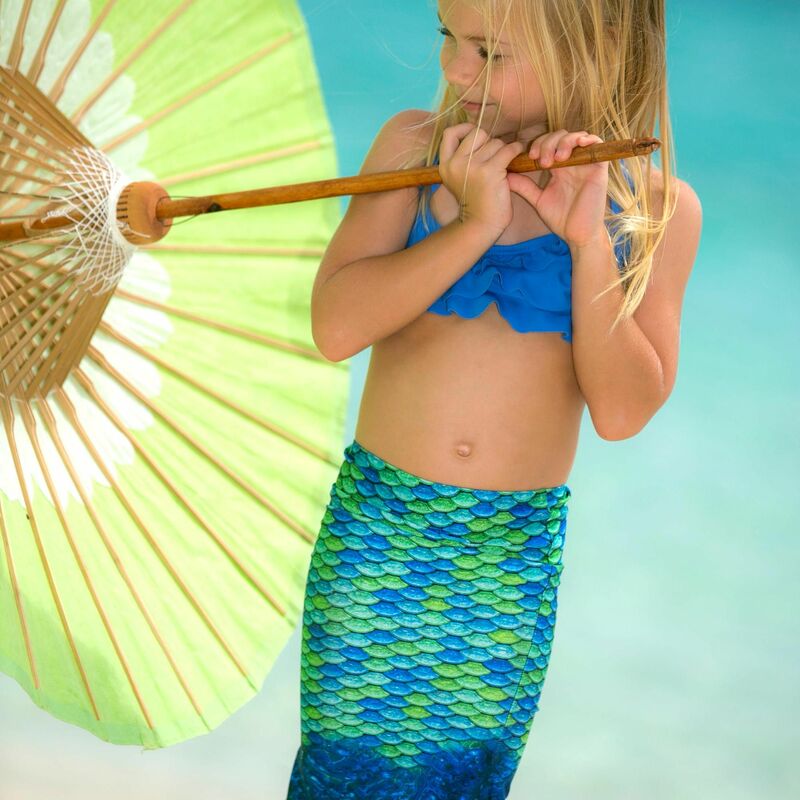 It’s easy to play wearing our strategically designed toddler mermaid tails! Reaching just above the feet, the skirt allows your little one to safely walk without getting tangled up. 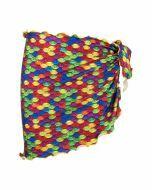 Plus, the fabric is loose enough that girls can kick their feet as they learn to swim.